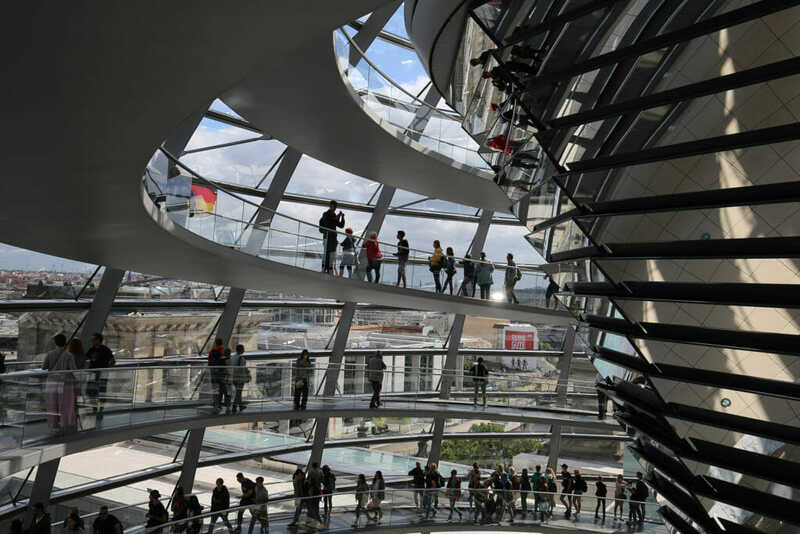 Operating as metaphor for a new and united Germany and a reminder of past atrocities the Reichstag German Parliament by Architects Foster and Partners is a great way to commence any trip to Berlin. Always a fan of this architectural practices work I enjoyed the clarity and precision of the modern insertion into this former symbol of authoritarian and fascist political power. 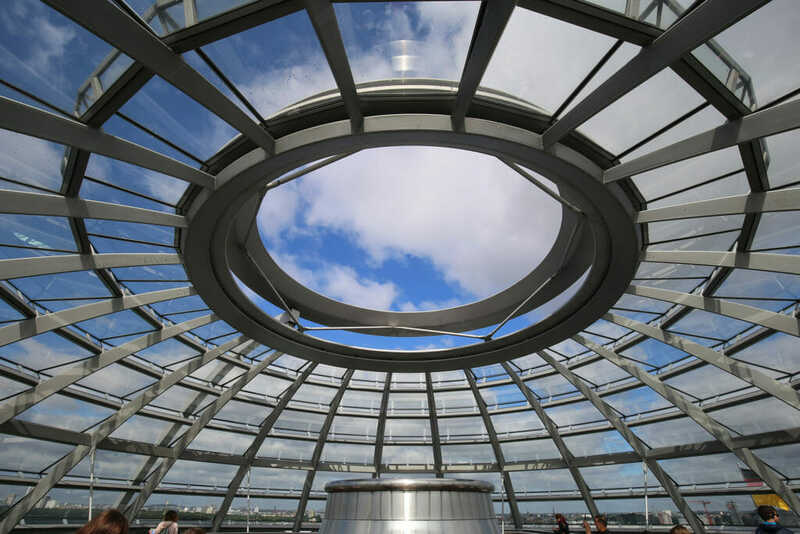 The dome recalls that destroyed during WWII and yet overlays environmental and functional programs that give it renewed and optimistic meanings. 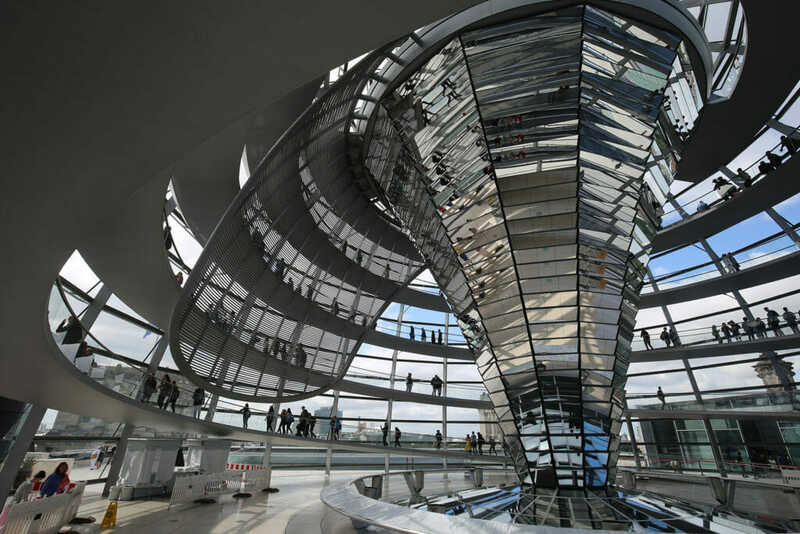 It functions primarily as a spectacular ramp and lookout from which visitors to Berlin are orientated to the physical and social history of the intriguing city, while simultaneously working as a source of reflected light into the Parliamentary Chamber below, as a way to naturally ventilate the space and as a source of water collection. Symbolically it places the people over and above the Parliament as a reminder that never again should Government of whatever form dominate the will of the people.